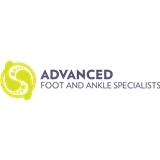 Advanced Foot & Ankle Specialists (Houston) - Book Appointment Online! Advanced Foot and Ankle Specialists doctors and staff have been proudly serving patients in the Greater Houston area for more than a decade. We use state-of-the-art technology to minimize pain and healing time. We have in-office x-ray, ultrasound, shockwave and laser capabilities to enable our physicians to quickly diagnose and accurately treat patients. The office staff was very polite and Dr. Lee was prompt and courteous. He explained the diagnosis very well.